Geographic information system technology is rapidly changing the way governments and organizations make decisions. GIS and related technologies immensely improve our ability to gather, manage, store, analyze, and use information relating to locations on the surface of the Earth. Combining such data with economic, social, and environmental information helps leaders and managers to make informed decisions. Choosing to study a GIS degree is a smart move considering that the global GIS industry potentially hits $2.25 billion by 2025. Earning your GIS degree requires hard work, commitment, and a little help. Get our GIS assignment help and graduate when you should. A geographic information system is a computer system that captures, stores, checks, and displays data related to locations on the Earth’s surface. GIS relates unrelated data to help individuals and organizations develop a better understanding of spatial patterns and relationships. GIS technology forms an integral part of spatial data infrastructure. With the technology, any information that includes location is valuable information. There are many ways to express location including address, latitude, longitude, and ZIP code. The technology includes data about people. For example, income, population, and education level. GIS may also include information about a landscape. Such landscape-related details include different types of vegetation, streams/rivers location, and types of soil. It can also gather crucial data such as the position of farms, factories, schools, roads, electric power lines, and storm drains. You are soon going to be one of the people who gather and organize such data. 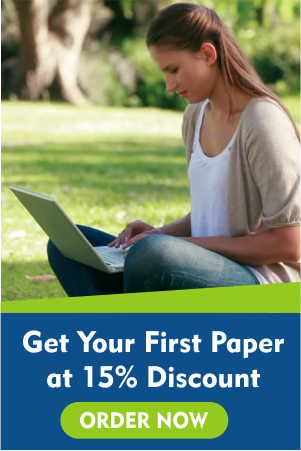 Graduate quickly with our GIS assignment help. Decision makers use GIS technology to compare the location of different types of things to find out the relationships that exist between them. Perhaps giving you an example would help you better understand what we are saying. Using GIS, an organization can identify places that produce pollution such as factories. They could then use it to locate areas that are sensitive to such pollution such as rivers and wetlands. GIS would then generate a map that would help people to determine areas most exposed to the risk of water pollution. You now can see how indispensable GIS technology is when it comes to planning and management of critical resources. Many other examples of how GIS provides highly useful information exist. And your professor may give you a GIS assignment that requires you to include more examples of where GIS technology serves a vital role. Are You Avoiding the Hard Work Required to Finish Your Degree? You want to work hard and graduate soonest possible. But that is probably not what you always do. A lot of college students complain of there being too much work. Some of them party and socialize too much, and might not pay their GIS assignments the keen attention they deserve. And that can derail their academic success in the end. Earning this degree or any other for that matter involves listening to lectures, taking notes, completion of assignments, and taking tests. Do not forget to finish that GIS assignment, even if it seems complicated. We provide GIS assignment help to college students who want to make their college years count. Data capture refers to the process of putting information in a GIS. Getting digital data such as tables and satellite images into this system is as simple as uploading them. However, the treatment of maps is a little different. Maps necessitate scanning or conversion into digital formats before uploading them into the system starts. Some of the most critical data GIS concerns itself with are cartographic data, digital data, data in spreadsheets, and photographic data. We want to walk you through each of these data types. You want to know as much as you can about GIS technology while still in college. Soon, you are graduating from college. And your future employer would expect you to have adequate theoretical knowledge in GIS and related technologies. Our GIS assignment help prepares you into a highly knowledgeable GIS graduate who confronts work-related problems with confidence. Cartographic data is data used to make maps. It may include information like the location of streams, hills, valleys, and roads. Survey data is also a crucial part of cartographic data as it produces information people can directly enter into a geographical information system. Photographic data is another type of valuable GIS data. Photographic data require interpretation if they are going to be of any use to organizations. The process involves detailed analyzing of aerial photographs. Additionally, it includes studying the different features captured. One good example of digital data is computer data collected using satellites. Such data provide detailed information on land use. The data may include the location of farms, forests, and towns. As a GIS graduate, feeding digital data into a GIS will probably be part of your job description. Accountants are not the only people who use spreadsheets. As a GIS graduate, you will be handling data recorded in spreadsheets and tables on a continuing basis. Population demographics is one example of such data. Crucial demographic information ranges from ethnicity, age, and income to recent online purchases and browsing preferences. All those GIS assignments your professor is asking you to write are not a waste of time. Do you think our GIS assignment help would be of any help to you? Perhaps. Talk to us. Remote sensing is another capability usually integrated into a geographic information system. Remote sensing deals with imagery and other such data collected from balloons, drones, and satellites. Each type of data we have described in the previous paragraphs may not appear like it has any relation to the rest. However, that is not the case. The interrelatedness of different kinds of data is evident upon closer examination. GIS technology allows experts to overlay all these types of information on top of one another on one map regardless of their original format or source. Using location as the key index variable, GIS relates all kinds of seemingly unrelated data to produce incredibly useful information. Your GIS assignment probably requires you to describe how GIS technology relates digital, spreadsheet, photographic, and cartographic data to one another for better planning. Raster and Vector are the two main types of GIS file formats. Raster formats are fundamentally pixels or grids of cells. These formats are suitable for storing data that varies, e.g., satellite imagery. Vector formats, on the other hand, are polygons that use lines and nodes (nodes are points). Vector formats help organizations store GIS data having definite borders. Examples of such data would be streets and school districts. We are here. Our GIS assignment help enables you to demonstrate your in-depth understanding of the various topics your GIS degree covers. After entering all of the desired data into a GIS system, experts may combine them to create various kinds of individual maps. The data layers added determine the nature of the maps produced. People can add to or remove data layers from such maps. These maps can help government departments better understand how natural features relate to human activities. Such maps can display all the human-made features existing near natural features. They may show, for example, which businesses and homes are in flood-prone or earthquake-prone areas. Additionally, such maps can help organizations obtain detailed information relating to a specific location. Such information could include average income, voting patterns, and book sales. As a promising academic, you want to know how GIS technology supports research. GIS technology helps researchers to track the changes that take place in a given area over time. Using data collected by satellites, geographers can develop knowledge regarding how ice coverage in polar regions has advanced or retreated through time. Scientists use time-lapse photography to get detailed information regarding the various processes that occur in an area over an extended period. Such scientists may, for example, accumulate data showing fluid movements in air and ocean currents. They can then analyze the information collected to understand better how energy in heat and moisture moves all over planet Earth. Also, geologists often use GIS technology to obtain three-dimensional images that help them more effectively study earthquake faults. A cartographer’s job is to display data on a map after a GIS technician has created it. It helps if you are artistic. Becoming a GIS specialist requires one to have excellent analytical skills. Working alongside programmers, these professionals analyze and automate data. 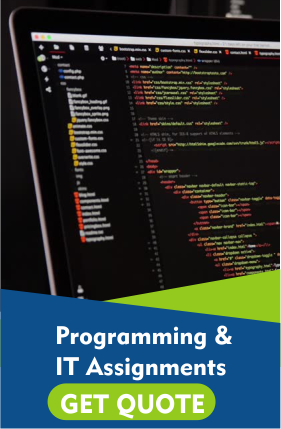 We can also help with programming assignments. Eventually, you are going to become a GIS manager. As you already know, a manager’s job is to manage other employees and coordinate projects. You will have technicians, cartographers, and specialists working under you. But that is all in the future. You still have college to clear first. For now, what you need to do is focus on completing your GIS assignment. Are you saying the task is hard? It probably is. But we are here. Why get all stressed out when our experts are all here waiting for your instructions? Our GIS assignment help is the assistance you need to master the various topics and the concepts they cover. Do you want to talk to us? Contact us anytime and order your sample. Time management is a critical skill. Unfortunately, a lot of people including college students are not that good when it comes to completing tasks on time. A lot of GIS students are always running a little late, but we have always helped them. But you should do things differently. One main reason to move fast after receiving your assignment is that you will get different results. Better results, usually. Ordering immediately you get the instructions allows you to receive your sample early enough. That way, you can spend some quality time reviewing it and writing your GIS assignment help. Our sample assignment is supposed to guide you as you develop yours. You want to avoid “emergency” orders. Such orders end up costing you considerably more than they would ordinarily cost. You probably know that most online writing services set their price points on the basis of “urgency” and order complexity. Our writers are highly educated and industry-experienced professionals who will guide and encourage you until you succeed. We have assisted thousands of GIS students over the years, and we have always fully met their expectations. Our prices accurately reflect the quality we deliver. We offer free unlimited revisions. You will receive a free title page. You will enjoy free and correctly inserted in-text citations. We want to make you happy with a free references page and free formatting. You will get rigorously researched work that makes your professor smile. We strongly believe in timely delivery of high-quality work. Our systems keep your data guarded by a sentry who never tires — our sophisticated and impregnably secure systems are that ever-watchful sentry. We offer a full money-back guarantee that ensures we deliver the quality we promised you. We love our customers and want them to succeed, no matter how challenging their circumstances could be. You will enjoy 100% privacy and confidentiality. We offer GIS assignment help to interested college students who want to get great grades and graduate the soonest possible. We are the listening partner you need at a time like this. ORDER Now.